This Willospoon Kit is the perfect gift for the Walleye enthusiast who would enjoy something unique and different. These unique, flutter jigging spoons can be used for both ICE FISHING and OPEN WATER. Two sizes in the hottest colors have been selected by our Pro-Staff. Information and contents are combined in a compact Plano box. The Walleye WillospoonTM Jigging and Rigging Spoon System is a unique new approach to fishing, employing a variety of presentations including vertical jigging, casting, open water drifting, bobber rigs, wind tip-ups, bottom bouncers and 3-way swivel rigs. The Walleye Willospoon swims and falls slower than conventional jigging spoons and has a tantalizing wobble that triggers strikes from tough to catch fish. Bottom Bouncers: Excellent River Rig. Willospoons run clean or with live bait make a super triggering rig when used behind bottom bouncers. Willospoons can be trolled or drifted slower than spinners yet produce the flash & vibration needed to trigger even the most finicky Walleyes. Floats: Willospoons will flutter under floats with the natural up & down motion of the waves. 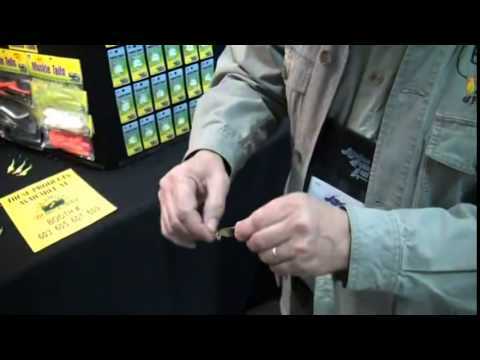 Substituting bait hooks or small jigs with Willospoons adds fish attracting flash & vibration. Slip float rigs & Willospoons tipped with leeches or minnows are an irresistible Walleye presentation.